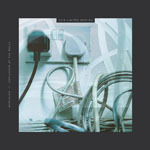 Share the post "Album review: MARILLION – Unplugged At The Walls/Tumbling Down The Years"
Live albums three and four in this set of bi-monthly releases find our intrepid heroes in a restaurant in Oswestry in 1988, and once again at the 2009 Marillion Weekend convention in Port Zelande, Holland. Unplugged At The Walls is somewhat unique in that it predates the band’s flirtation with going ‘unplugged’ (with the Less Is More album, and the Live At Cadogan Hall DVD that captured the ensuing tour) by some 10 years. As a result there’s relatively little overlap in set lists, although half a dozen tracks do feature on both – ‘Beautiful’, ‘The Space’, ‘The Answering Machine’, ‘Gazpacho’, ‘Cannibal Surf Babe’, and ’80 Days’). But out of the 17 tracks on offer here, that’s an acceptable overlap. Perhaps an ill-conceived venture while mixing Radiation, Steve Rothery had the bright idea of bartering a low-profile acoustic performance in return for free food at the best restaurant in town – The Walls in Oswestry (a former school dating back to 1841, but since closed and currently on the market for offers in the region of £500k following the owners retirement in 2016). But word leaked out, and in current day parlance, news of the pending impromptu gig went ‘viral’. Highlights, from what is actually a semi-acoustic set, with Mark Kelly’s Hammond adding a lovely ‘vintage’ dimension: ‘Beautiful’, ‘Beyond You’, ‘Runaway’, ‘Now She’ll Never Know’, a hauntingly sparse version of ‘King’, ‘Cannibal Surf Babe’, a marvellously bluesy cover of Marvin Gaye’s ‘Abraham, Martin and John’, and ’80 Days’. In contrast, the fully electrified (band and audience) set at the band’s convention eleven years later finds them performing a Saturday night set literally Tumbling Down The Years, starting with ‘This Train Is My Life’ (from their then current album Happiness Is The Road (2009)) and regressing back through time with a track from each of the previous 18 years culminating in ‘Cover My Eyes’ from Holidays In Eden, and with a couple of Fish-era numbers thrown in for good measure as encores. Highlights, ‘This Train Is My Life’, ‘Real Tears For Sale’, ‘Genie’, ‘Drilling Holes’, ‘Map Of The World’, ‘Hard As Love’, ‘No One Can’, and ‘Slainte Mhath’. Asked to pick one of these two releases, Unplugged At The Walls just edges it. But only because it stands alone, catching a ‘one off’ performance, whilst Tumbling Down The Years forms one third of the soundtrack to the Out Of Season DVD release, superbly captured by Tim Sidwell’s Toward Infinity team (the other nights spawning the Out Of Season Live and Size Matters CD releases). This entry was posted in ALBUM REVIEWS, ALBUM REVIEWS (Mobile), All Posts, Reissues and tagged 1988, 2009, album, Holland, live, Marillion, Netherlands, Oswestry, Port Zelande, review, rock, Tumbling Down The Years, Unplugged At The Walls. Bookmark the permalink.